Posted on January 15, 2017 Posted in Cakes, Russia, Traditional	. 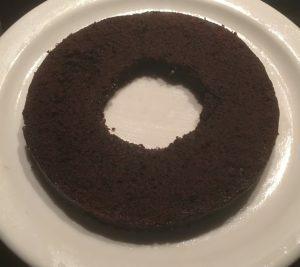 So this cake technically is not a traditional Russian cake, however is a cake that is popular in Russia and has many many many versions of it. The 4 things all versions have in common being; lots of vodka, Kahlua and chocolate. My understanding is if cream is included in the recipe it is usually piped in the center of the cake where the hole is, however I felt that icing the cake with the cream in the center horizontally was a great way to break up the intense chocolate richness (instead of just use it as a decorative feature). 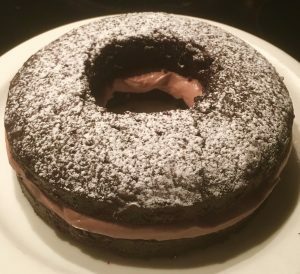 Now I have make Chocolate, Nutella and Kahlua cake before (see my Kahlua Nutella Chocolate Cake recipe), where this cake was absolutely delightfully decadent. This Russian cake however, has the significant addition of the vodka that really breaks up the sweetness and somehow makes the Kahlua and chocolate event more scrumptious in flavour. The texture of the cake (I’m not sure if this is thanks to the vodka) is amazing. Think choc and coffee brownie cake with a layer of Nutella. This cake will melt in your mouth and leave you wondering why you have been wasting kjs on plain chocolate cake in the past. Pre-heat the oven to 175c degrees and spray a non-stick Bundt cake tin with oil spray. 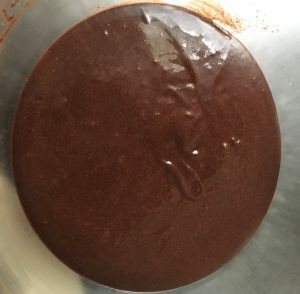 In a bowl double sieve the flours, milk powder, baking powder, salt, cocoa powder and sugar. In another bowl heat the butter until just melted. 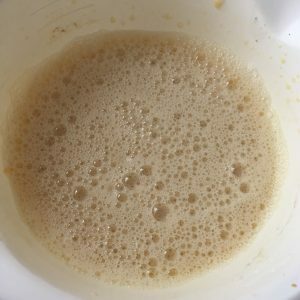 Add the oil and milk to the butter mix and using electric beaters whisk for 2 minutes. Add the eggs to the butter mix and beat for a further 3 minutes. Add the vodka and Kahlua to the egg mmix and beat for 1 more minute. Add the wet mix to the flour mix and whisk until just combine. Pour the batter into the tin and bake in the oven for 45 minutes, or until a skewer inserted in the center comes out clean. 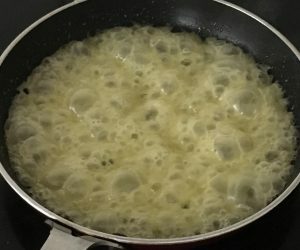 Meanwhile to make the syrup place the butter, water and sugar into a pan and heat on high stirring continuously until the mix is bubbling. Add the Vodka and Kahlua and stir until well combine and the mix slightly thickens. Take the syrup off the heat for later use. 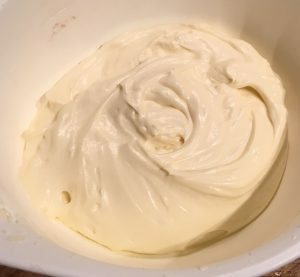 Make the cream by combining all ingredients into a bowl and beating with an electric whisk until peaks form, set aside. Using a pastry brush brush the top of the cake with half the syrup mix. To put the cake together, cut the cake into 2 layers horizontally. Place the bottom layer on a plate and using a pastry brush brush the remaining syrup onto the cake cut side up. Add the cream mix and top with the second cake layer, syrup side up. Note: I dusted the cake with icing sugar to decorate. Tags: chocolate, kahlua, Nutella, russian, vodka	.